[miningmx.com] – ZIMBABWE chrome miners welcomed the lifting of an export ban saying it would assist them in securing capital so they could invest in smelting expansion projects. On June 9, Mines and Mining Development Minister, Walter Chidakwa, lifted the four-year ban on raw chrome exports from the country which holds about 12% of the world’s total chromite resources. He announced that 12 private companies and a state run special purpose vehicle (SPV) had been licenced to undertake shipments of about 30 million tonnes of chrome ore for smelting outside the country. Chrome and ferrochrome producers in Zimbabwe include Zimasco and some Chinese owned companies. The government had hoped that its ban on exports of unbeneficiated chrome would result in increased smelting capacity and create more jobs for locals. However, Chidakwa conceded that this had not been achieved owing to viability challenges and depressed prices for mineral commodities including chrome. Isaac Kwesu, CEO of the Chamber of Mines of Zimbabwe, told Miningmx in an interview that the industry had always called for the government to lift the ban. He said the chrome miners in Zimbabwe were buckling under a heavy saddle of operational costs, which made them uncompetitive compared to producers in South Africa – which has about 70% of global chromite reserves – and China. “We have been calling for the resuscitation of … the chrome sector as they are having a number of challenges. This provides … hope that they can recapitalise by ferrying the raw chrome,’ said Kwesu. 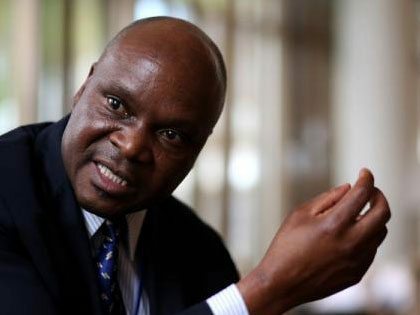 Zimbabwe finance minister, Patrick Chinamasa, also said earlier this week that the country’s government had noted that “a lot of companies are sitting on idle chrome ore claims’. President Robert Mugabe’s cabinet had mandated the mines ministry to “investigate and then ask those (companies) to surrender those claims to those who can work them’ as the government strengthens its “use-it or lose-it” policy regarding unutilised mineral claims, he said. However, the Chamber of Mines said the cost structure for local chrome miners was “unbearable’ which was why some producers were not currently operational. Chidakwa, who also scrapped a 20% levy on raw chrome exports, said that of the 12 licenced chrome smelters he had expected to start chrome ore shipments, only eight had sufficient capacity to start exports with immediate effect. The other four were facing challenges, he said. “The cost structure for chrome miners is very unbearable. For the ferrochrome producers to be competitive, we need to reduce the cost structure and a lot of (other) impediments,” he said.